As photographers, we have the ability to change someone's life for the better, and use our talents to transform the way people see themselves. We have the ability to make a difference in the world. 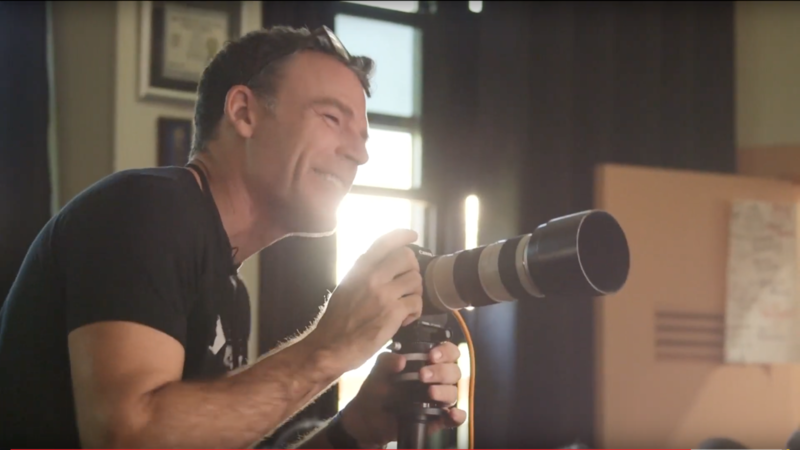 In the case of Peter Hurley, he surprised the photography students at Coalinga high school in California, where the students were given a once in a lifetime experience to learn from one of the most sought-after photographers in the world. Media teacher, Julie Lance coordinated with Hurley, who she met at one of his headshot intensive classes in Las Vegas, to come in and teach her students for the day. 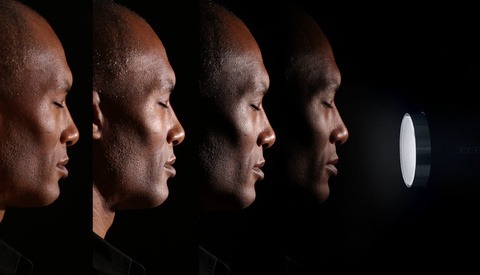 Over the course of the day, Hurley ran a series of workshops which covered his signature lighting techniques, posing methods, and how to get the perfect expression from your subjects. The students who chose to be the models, ended up walking away with not only some of the best photos they've ever had taken of themselves, but with the gift of confidence. Knowing that he only had a few hours at the school, Hurley's goal was to leave them inspired-to go out and accomplish their dreams. Hearing Hurley's humbling story of where he started and where he is today, made the students realize that they can be where he is today, if they just put in the work. When we take photographs of our subjects, that may be the first time they have ever had their picture taken, so it's up to us to bring out the best in them and leave them with the best possible images of themselves. An amazing picture of someone can ultimately end up changing the way they see themselves. For me this sentiment holds a deep a place in my heart. During the process of shooting my personal project, The Faces of G-Star, where I took 365 portraits in four weeks of the students, faculty, and staff of my high school, the picture I took of Karla solidified my whole reason of being a photographer. 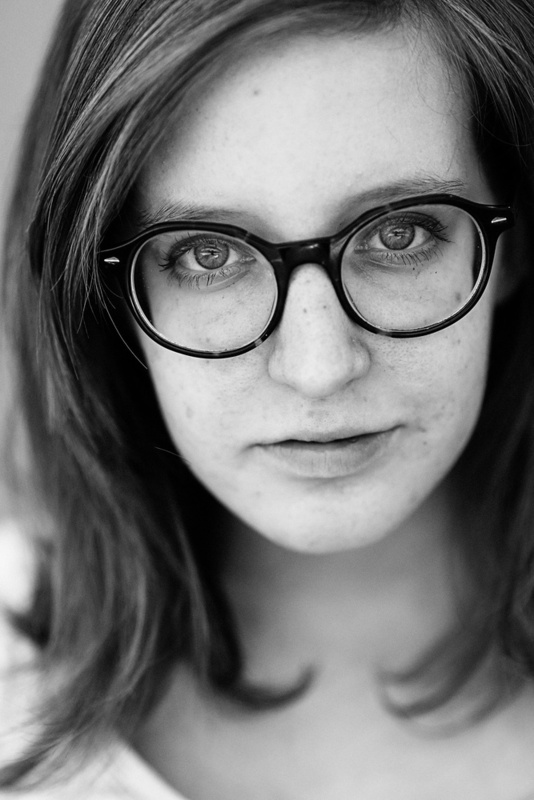 That is: to capture the beauty in every person and allow my subjects to see that in themselves. Everyone else had their names on their pictures like Josh, and Nick. But my "name" was kind girl. I always try to make sure people see me as a kind and caring person and I'm not sure if people do, but that caption really made me feel good. Someone, a total stranger I met 30 seconds prior to the photo being taken, called me the kind girl. The next time you have the opportunity to make a difference with your camera, go out and do it! 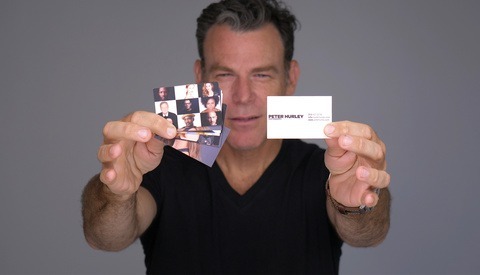 Maybe completely wrong as I have never met the guy in person, but Peter Hurley just seems like a genuinely cool dude. I know his "system" might be a little bit gimmicky, but just seems a person you wouldn't mind shooting some portraits with. Regardless, hats off for doing such a nice thing with the kids. He is such a class act. I said the same thing in the last story about him on FS. Thank you for sharing. I had the opportunity to sit in one of his classes at WPPI and got a lot out of it. Some people think he has a big ego but I didn't find that to be the case. He was open and forthcoming and friendly. I'm sure he has somewhat of an ego and probably more just self confidence. He's built quite a brand and business for himself and knows how to bring out the best in people for the best portrait.